Aging is a swinging door. If in comes strength, stamina, memories and insight then out goes strength, stamina, memories and eyesight. While these changes cannot be stopped, they can and often are ignored when it comes to everyday activities such as driving. 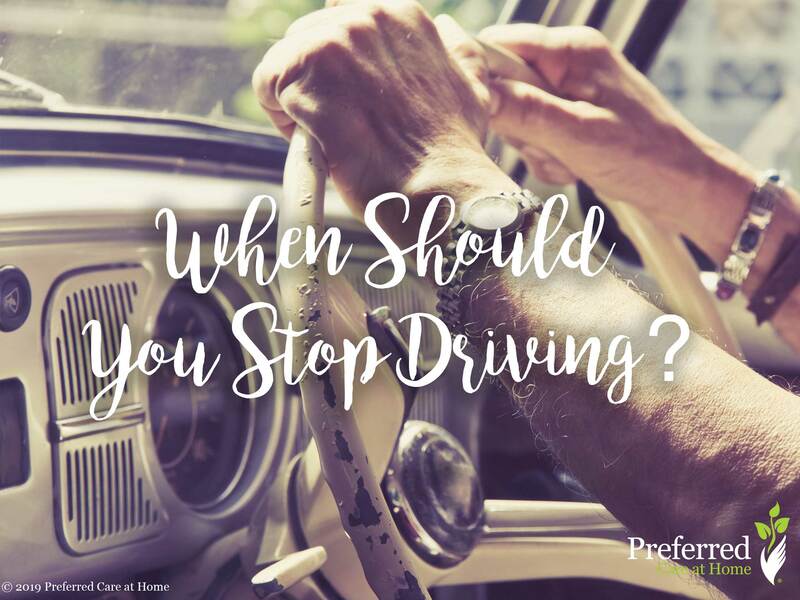 In 2016 alone over four thousand elderly drivers died in fatal car crashes, according to the National Highway Traffic Safety Administration (NHTSA). People 65 and older made up 18 percent of all traffic fatalities that year. And unfortunately, this is not an issue that will just fade away — unless driverless cars become the norm sooner than later — because by 2030 all baby boomers (the second largest age group in America) will be older than 65, according to the Census Bureau. To ensure safer roads, some states have implemented special provisions for older drivers, including restriction of online or mailed renewals; vision test; road test; or reduced or waived renewal fees. But there’s still a degree of self-awareness and self-regulation needed to fully address this problem. So when should seniors give up their car keys? It might be when they see the signs of unsafe driving. The signs may stop something terrible from happening. Listed below are some of the more common signs, compiled by AARP, that may indicate the need to give up the keys. Finally, it’s understandable why giving up the driver’s seat is such a difficult thing to do. For many, it may make them feel as if they’re giving up their independence and autonomy. But that does not need to be true. There are many services and community care providers that can help maintain senior mobility, dignity, and independence!